Hailing from Miami, Florida, the artist known as Digital Lab has been working his way into the industry, already boasting productions for labels like One Love and Ultra. Most recently he released the massive track “Hit It” with GTA and Henrix, which caught the attention of fans last fall when Steve Angello’s dropped it at Size In The Park. Like the majority of the electronic music industry, he will be spinning in his hometown for the Winter Music Conference’s festivities. 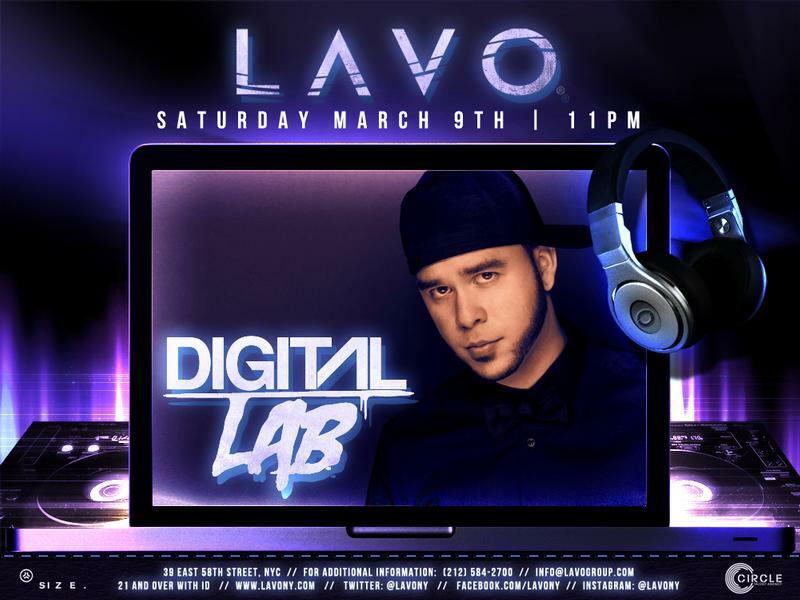 However, a few lucky EARMILK fans will have the chance to preview the madness by winning a pair of VIP tickets to his show at the exclusive restaurant/night club, Lavo in New York this Saturday. Head over to Earmilk Events to enter.